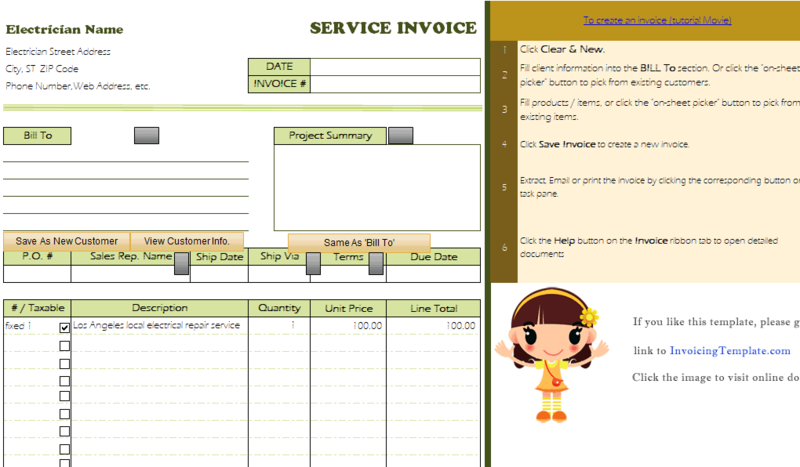 This is a further-customized version of our rental invoice format c7001. It shows an image of tourisms on a limo. 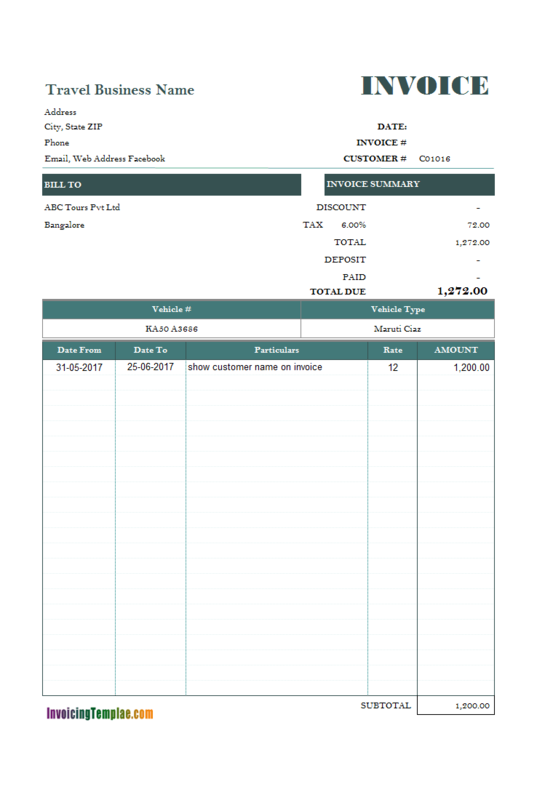 The images will show on the PDF car rental invoice too. It also adds a "Remark" field for you to fill in the driver's license in the United States or the international driving permit. 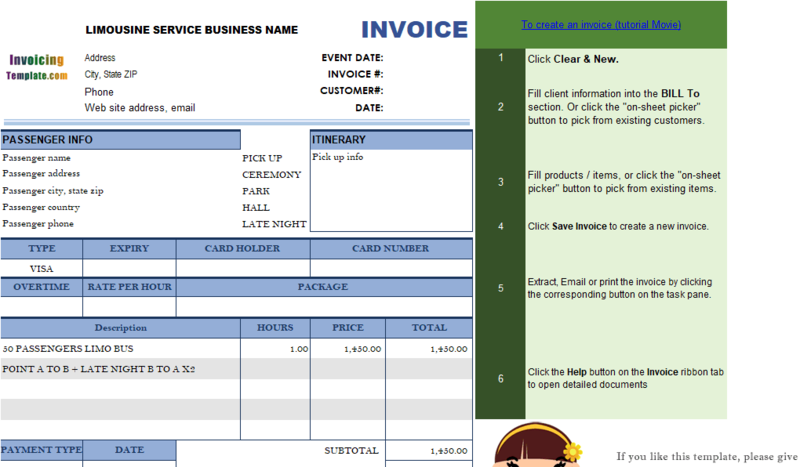 c7034 now includes the customized invoice template for the latest version of Invoice Manager for Excel. This is what you will see when you open car-rental.xlsx. 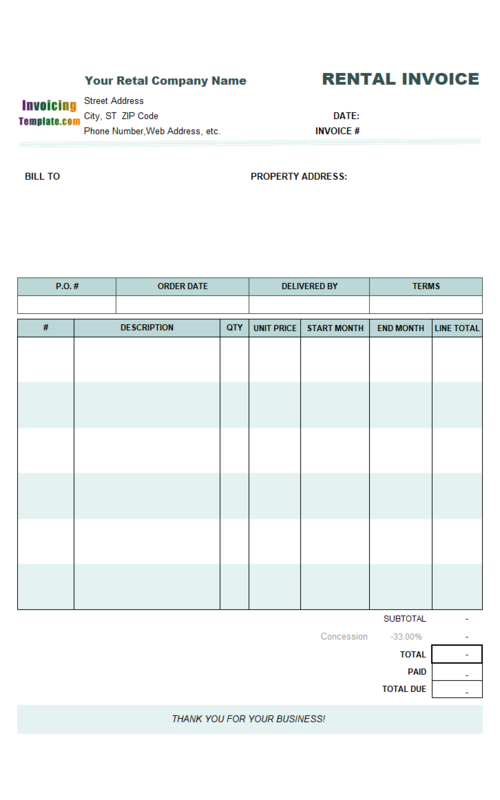 The c7001 Rental Invoice Template is designed mainly for property rental such as an apartment, where the custom columns, "Start Month" and "End Month", are formatted to show only the year and month parts of date values. 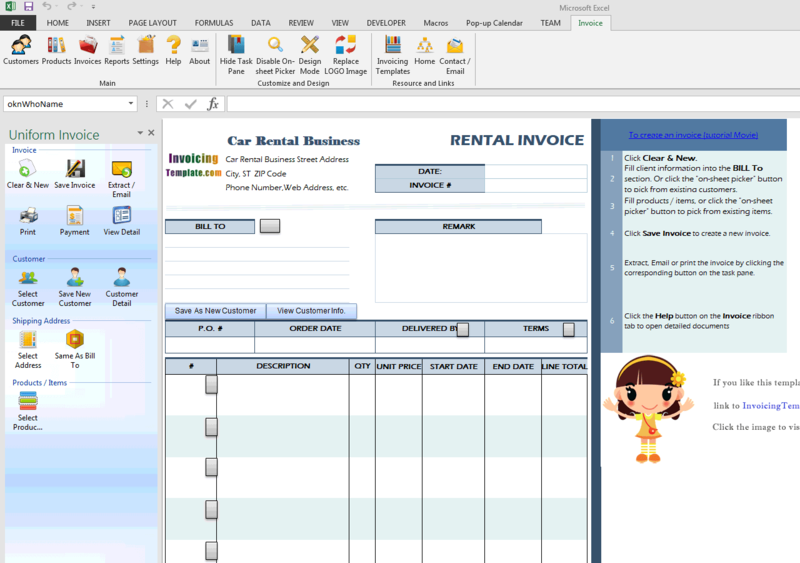 Since this template is designed for car rental, we believe it is necessary to show the accurate "Start Date" and "End Date" of each rented car. 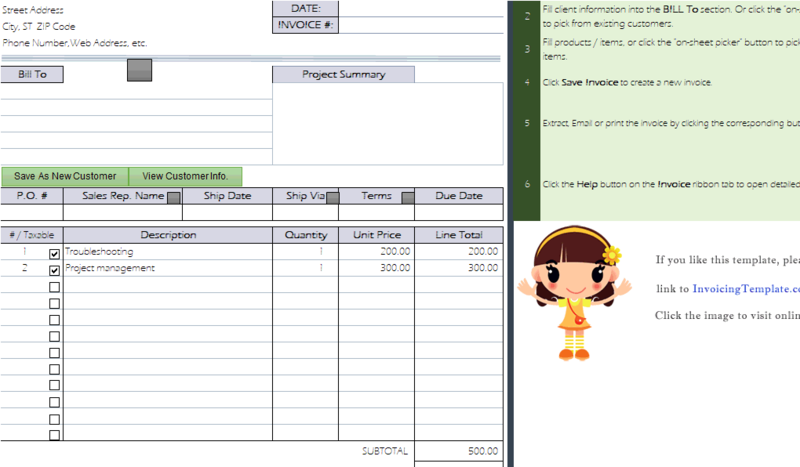 For this reason, the two columns now has new headings in this Excel sheet, namely "Start Date" and "End Date". Since these two custom fields are actually "Date Time" data type in the back end database (Microsoft Access), so we don't have to modify the underlying data types of these fields. 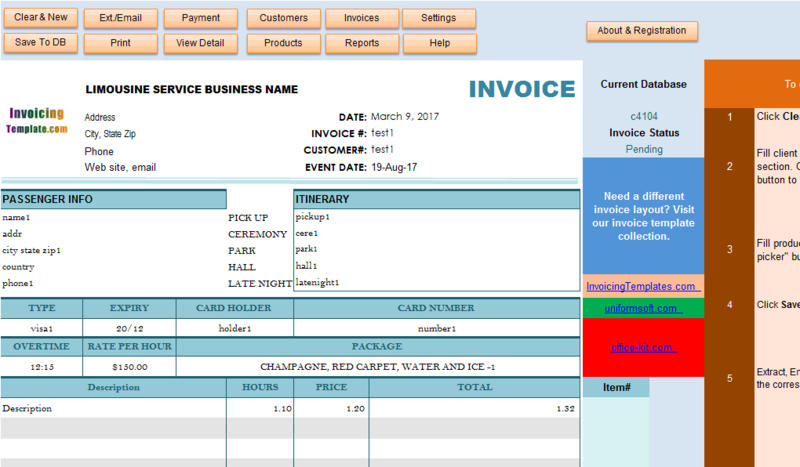 All we need to do is to format the cells to show the full date values. Here are the steps to format the cells. Make sure the template is backed up, and it is in design mode. Drag your mouse to select all the cells in the "Start Date" and "End Date" columns, ranging from $N$20:$O$25. 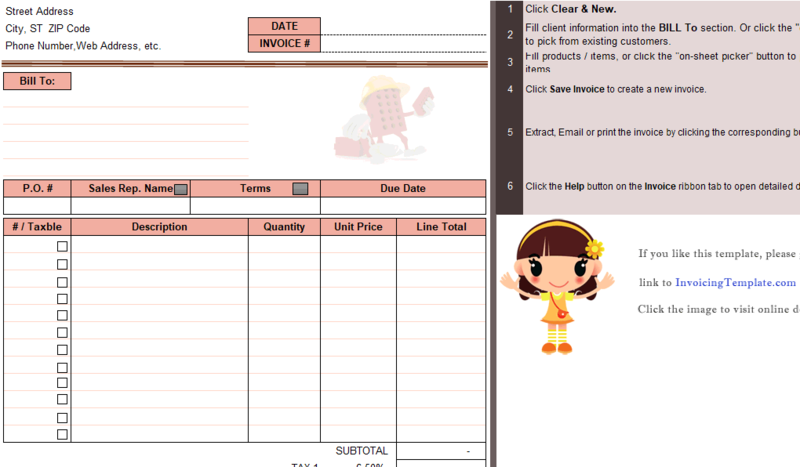 Right-click one of the selected cells, choose "Format Cells" from the menu. Go to the "Number" tab. From the "Category" group, choose "Number". Choose one of the date format you like. Be use to choose a date format that does not cause misunderstanding. For example if you have customers come from outside of the United States, "1/2/2018" is a misleading date value; but "March 1, 2018" is OK. 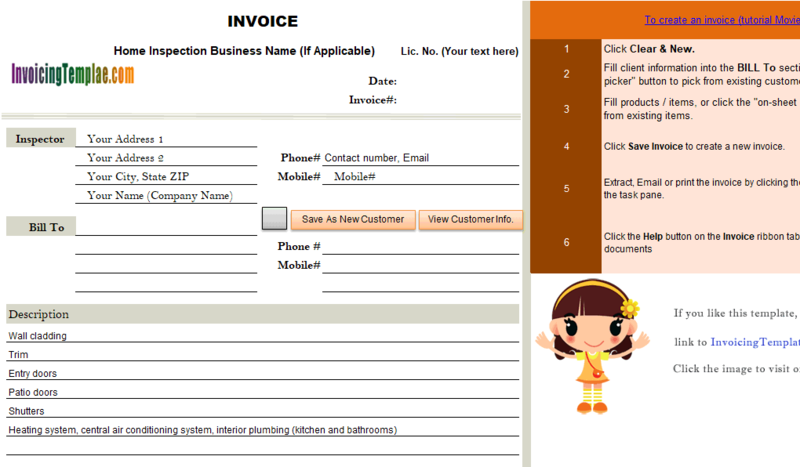 Refer to How to Formally Write the Date for more information. 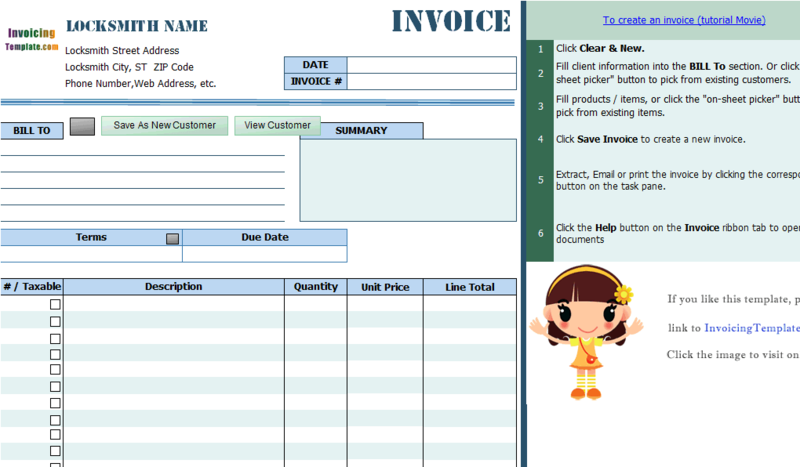 Once you have done setting your date format, close the dialog box. Exit design mode. Save the template. 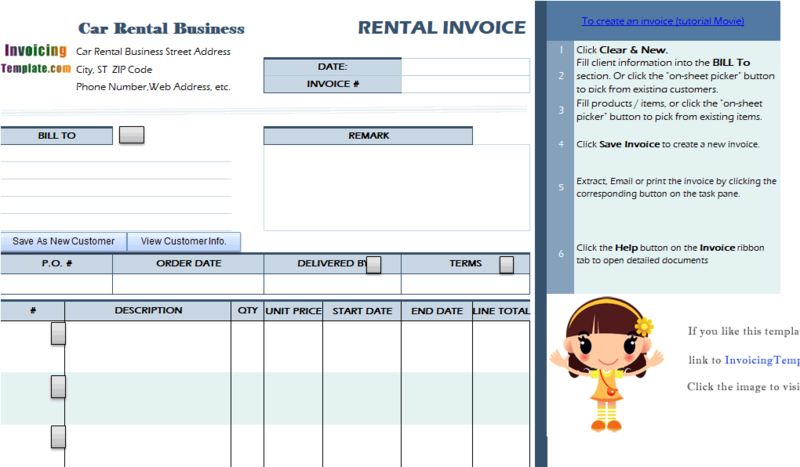 Feel free to visit c5117 Vehicle Rental and Travel, which shows another form layout you may like. 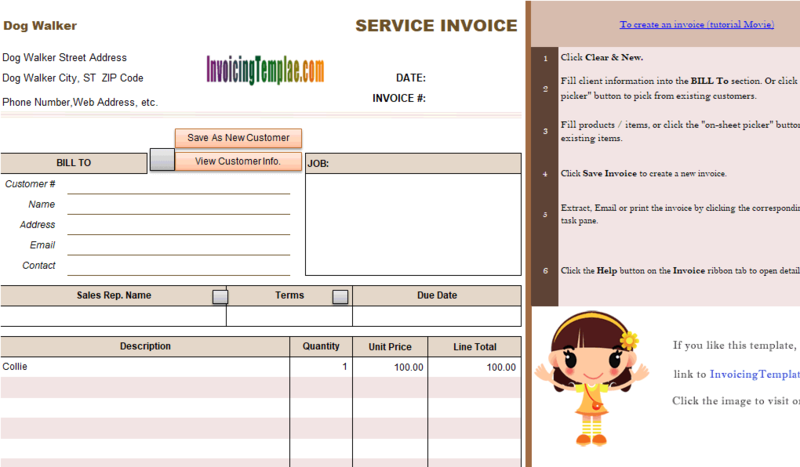 If you are offering limousine service, consider c4104 Limousine Service Invoice Template and c4104 Limousine Service Invoice with Notes. The "Notes" field in this car rental form is titled with "Remark", which is a blank multiple-line field that allows you to input any additional information, like insurance or driver license number. 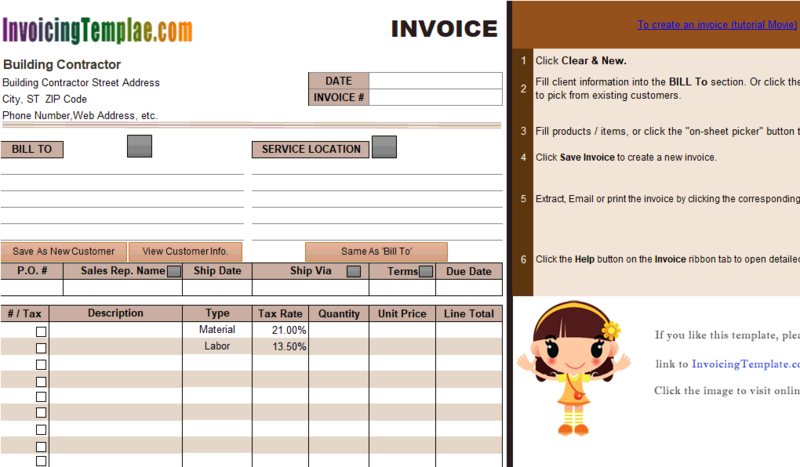 Visit our blank invoice templates for samples. 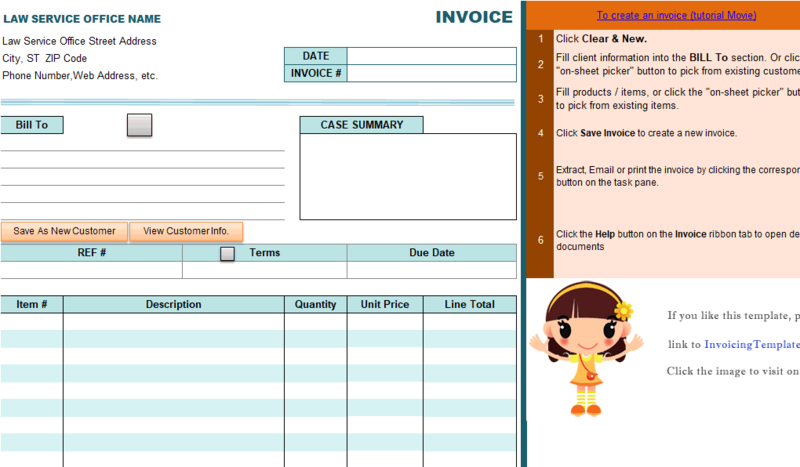 Like other form designs here on InvoicingTemplate.com, Car Rental Bill Form is free (offered to you at a price of 0.00USD). It works on Windows XP and all newer versions of Windows, and Excel 2007, 2010, 2013 or 2016.